Farmers in southern Uganda seek information to anticipate the interannual variability in the timing and amount of precipitation, a matter of great importance to them since they rely on rain-fed agriculture for food supplies and income. The four major components of their knowledge system are: (1) longstanding familiarity with the seasonal patterns of precipitation and temperature, (2) a set of local traditional climate indicators, (3) observation of meteorological events, (4) information about the progress of the seasons elsewhere in the region. We examine these components and show the connections among them. We discuss the social contexts in which this information is perceived, evaluated, discussed and applied, and we consider the cultural frameworks that support the use of this information. 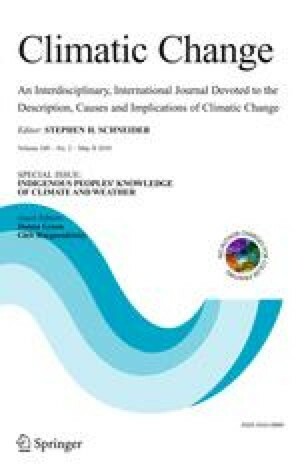 This system of indigenous knowledge leads farmers to participate as agents as well as consumers in programs that use modern climate science to plan for and adapt to climate variability and climate change.